We started Earth Tribe Radio to help to bring people together, sharing wisdom, insights and questions from new thought leaders, known and unknown. 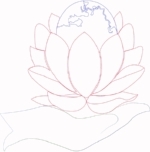 We offer Global communication through interviews, awakening stories and more. Earth Tribe Radio gives tools, techniques and meditations that can help us remember the light that we are, that we’ve always been. A radio station connecting people together, gathering questions from around the world. 1. Encounters: Interviews with people who have had experiences and insights that have changed their lives. 2. Community and sustainable future: Interviews about urban agriculture; global sharing; taking responsibility for ourselves and our planet: permaculture, community; minimalism and changing our lifestyle so that we can find greater peace and happiness. 4. Life’s mysteries and intangibles: Why are some people popular and some not? What is beauty? 5. After death experiences and gentle transitions: how others have made these transitions; sharing and caring and our views on death, life and finding our happiness and joy now. 6. Dream tending; Mayan teachings and charts; dream interpretations; finding your personal mantra; maintaining vibration of joyousness and light. 7. Meditations for morning and evening; how to develop your personal meditation. 8. Medicine wheel teachings; teachings of the animals; creating personal ceremony; how do we empower ourselves? 9. Tending our earth; spiritual gardening; permaculture; finding our light through tending our plants. 10. Going beyond dementia; interviews and sharing about how to move into the wisdom of dementia and beyond. 11. The Should Show! Go beyond should's and beliefs. Can you remember who you were before the world told you who you should be? The facilitators will be many. Known guides, helpers and teachers, friends, family and those off the street who have lived and remembered their light where they can. These shows guide us deeper, so that we can uncover what has always been there. We are fully enlightened beings who just got lost in who and what we thought we should be. Remember: we are the sky....not the clouds that pass by.